After several weeks of demands, judgments, appeals, and what we… the first result gives us as a winner to Yves Saint Laurent opposite the Red sole of Christian Louboutin. A few days ago that a court in Manhattan declared that the Red sole is not exclusive, YSL has not made unfair competition or infringement of trademark, and the Demand of one million dollars had been dismissed. Until today. A few hours ago that the Daily Mail has just announced that the battle continues. 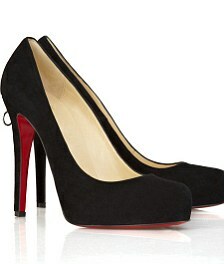 Whatever it was, Louboutin said that this week will return with his team of lawyers to the courts. At the end of the first round, 1-0 for YSL. And this looks set to last as long as a boxing match heavyweights. Next round!